Sometimes, you just want to try a new look while other times you just want something simple and easy. With mini twists, you get both! This look is stylish and easy to maintain to give your routine a laid-back revamp. 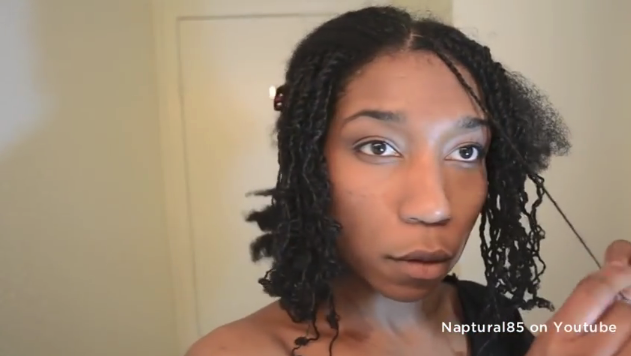 If you have never done this look on your own before, you may have some questions about how to install mini twists. Here are a few tips and tricks for mastering this look, as well as a step by step tutorial. Invest the time. The first thing to know about how to install mini twists is that this is a time-consuming process. Depending on how much hair you are working with, you could be installing them for hours. Yes, hours. The upside is that once you get them in, they will be pretty low maintenance for the next 2-4 weeks. Low maintenance does not mean no maintenance. While you can put mini twists in and then just wait for two weeks to wash and reinstall them, you can also choose to water wash or co-wash them as needed during the two-week period. You should also moisturize your hair regardless of what style it is in and mini twists are no exception to the rule. Don’t leave twists in for too long. While this is a great low manipulation style, you don’t want to leave them in for too long without taking them down. The first reason is because your hair will need a good wash. The second reason is while this look offers minimal damage to edges, it can still present some if worn too long. Give your hair a break every now and then it makes sure everything stays in check. Make sure any stray hairs are secured inside the twist when installing the look. Any loose hairs run the risk of breaking off. Apply your favorite leave-in conditioner when installing twists. This will ensure your hair stays hydrated and healthy during the two weeks you have the look in, as well as making it easier to get a sleek look without flyaways.